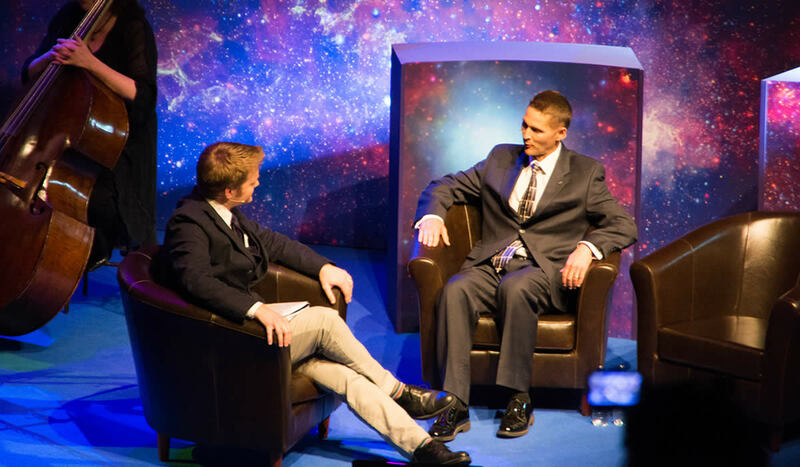 On 7th June 2014, Glasgow’s Clyde Auditorium reverberated with music with a cosmic theme and a reflection on the big questions that arise as we begin to understand the wonders of our universe. There is more than one way to explore the God question. 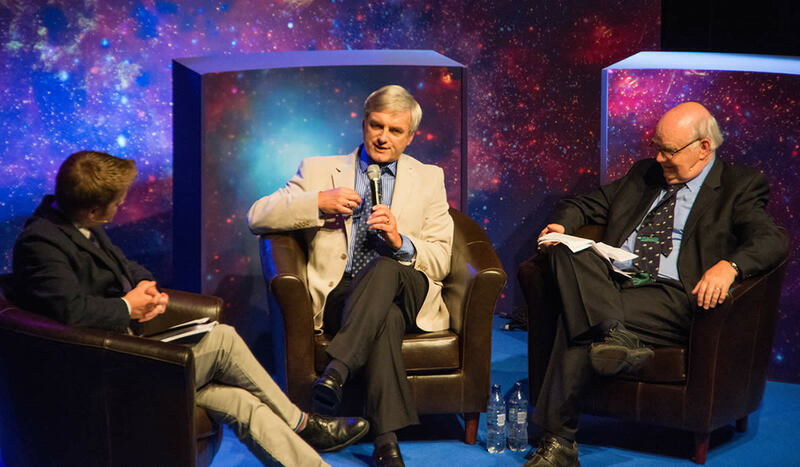 On 7th June 2014, Glasgow's Clyde Auditorium reverberated with music with a cosmic theme and a reflection on the big questions that arise as we begin to understand the wonders of our universe. 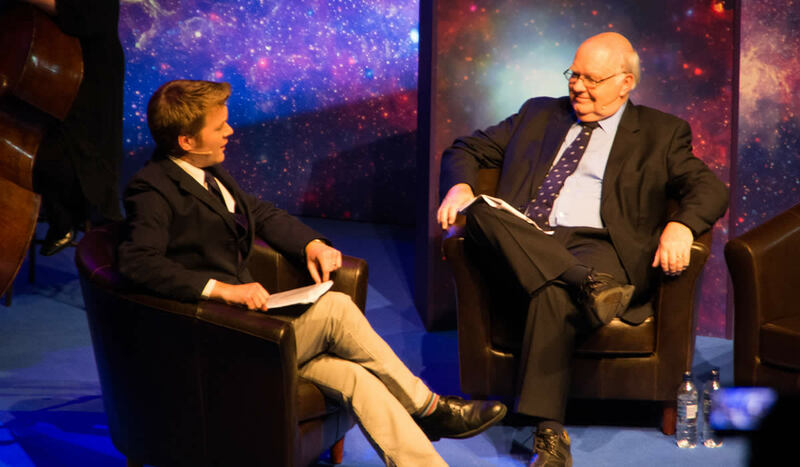 As professor of Mathematics at Oxford University, and having achieved three doctorates, John Lennox provided highly stimulating and thoughtful content about whether God or chance seems responsible for the wonders of the Cosmos. 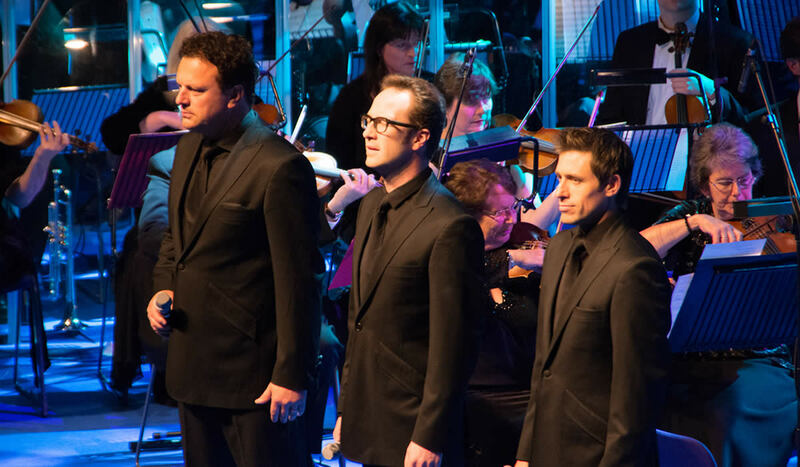 Tenors Un Limited wowed the audience with their mix of classical and popular repertoire, celebrating the wonders of life in our vast universe. Producer of Exploring The God Question, Iain Morris, answers Justin Brierley's questions about why the series was made and for whom. 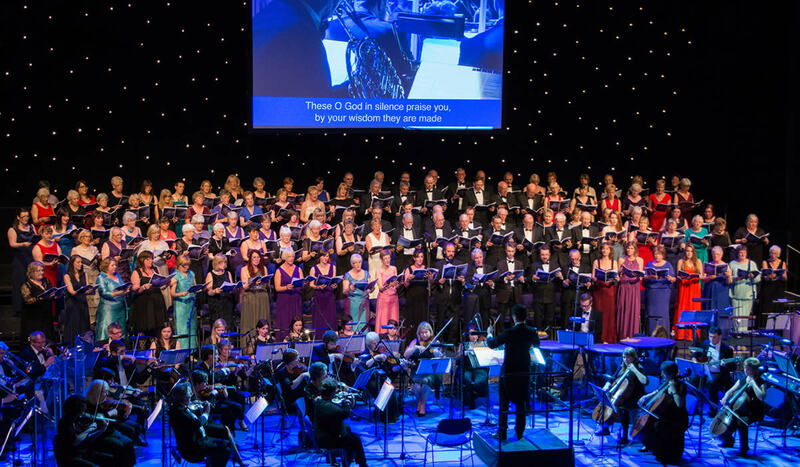 Series extracts, as well as specially commissioned film, were part of In Concert with the Cosmos. 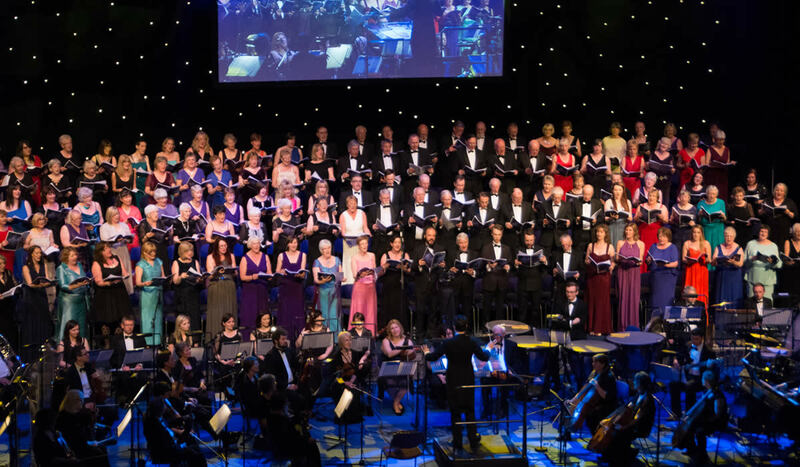 The Springfield Cambridge Festival Chorus and Orchestra against a star-spangled background and bathed in the creative wash of lighting director Ian Banks from the Scottish Exhibition and Conference Centre. Astronaut Jim Dutton, who piloted the space shuttle Discovery to the International Space Station in 2010, fascinated the audience with an account of his experiences. 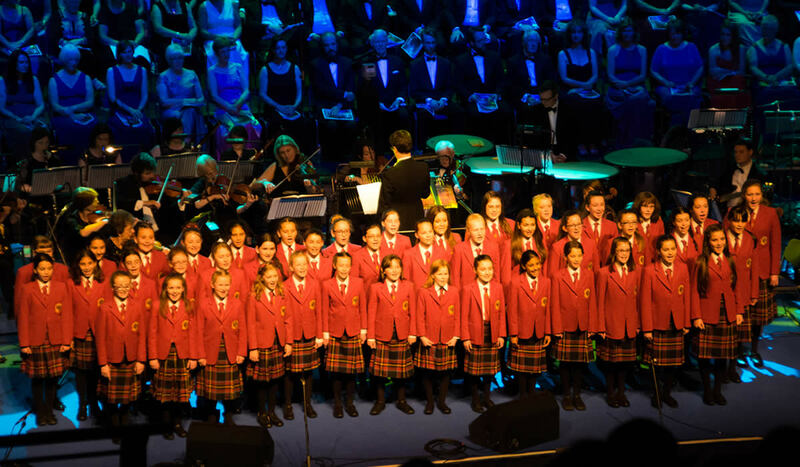 Craigholme Junior Choir brought a professionalism – one that far outstripped their tender years - to their presentations of David Bowie’s ‘Space Oddity’ and John Rutter's "Look At The World". "I wanted to let you know how greatly my family and I appreciated tonight. A wonderful event! A fabulous resource! An inspirational vision!" D.W.
"Thank you for a terrific and very enjoyable concert. It was brilliantly done." G.F.
"In Concert with the Cosmos was extraordinary. Highly motivational." L.D. "What a triumph! It was absolutely wonderful in every aspect." S.G.
"I came along with a small group and really loved it. How fascinating, informative, welcoming and entertaining." J.K.
"What a wonderful event! It was stimulating, awe inspiring, beautiful, creative and such an imaginative programme. Thank you for all your efforts. It really was brilliant." S.McQ. "I was very impressed with the quality of the entertainment, the venue, the size of the audience, the presenter, the guests and especially the way in which such an important message was woven into the evening. It was very slick and worthy of running for more than one evening!" C.S.
" An unqualified, magnificent triumph. The complex technology and the superlative human input were of a stunningly virtuosic, seamlessly integrated, stellar quality in keeping with the grandeur of the concept." S.M. "Wow! Wow! Wow! Enough said." M.F. "Well done for an amazing concert." L.A.
"The concert was outstanding. Wonderful. Loved it all. Challenging but exciting. Great choices, so well put together." J.McK. "The expansive programme was inspiring, motivating, educational and above all enjoyable for all those in attendance." J.N. "Such an exciting event. Top quality as well as very interesting. Something to remember." N.S. "Congratulations on the event! It surpassed anything I could have expected." J.M. "Congratulations on this very successful event. The concert was superb." M.Mac.